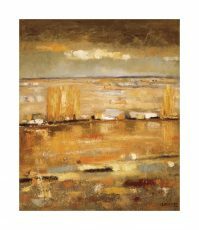 Izquierdo, Santiago | Artists | Canadian Art Prints & Winn Devon Art Group Inc.
Santiago Izquierdo was born in Burgos, Spain in 1948. He lived his childhood and adolescence in Spain’s central region, a very vast area known as Castile. Castile is a place where the sun shines very brightly and the land is red and rich; where the color yellow takes over the countryside in the summertime and where trees reveal their various shades of color in autumn. This range of color shades that characterizes Castile’s different seasons marked Santiago Izquierdo forever. 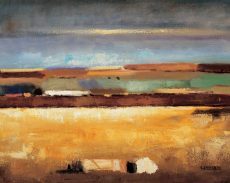 Light is one of the key elements in Izquierdo’s paintings; a natural, strong light that contributes feeling and emotion to the observation of Castillian landscapes. 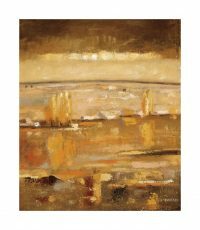 Warm colors are mixed for a clear purpose: to add light to such landscapes, a purpose that is beautifully accomplished. 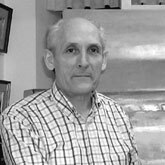 Color is another of Izquierdo’s key elements. His broad chromatic palette shows lively and warm colors, which are used with great artistic strength. 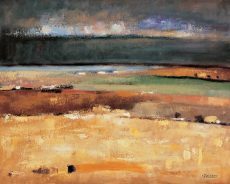 Izquierdo starts from a Castillian naturalist landscape and moves on to create a schematic composition, which in some of his paintings becomes abstract landscape representations. Brush strokes are free and the composition falls apart into color-dominated levels, leading to an abstract landscape.